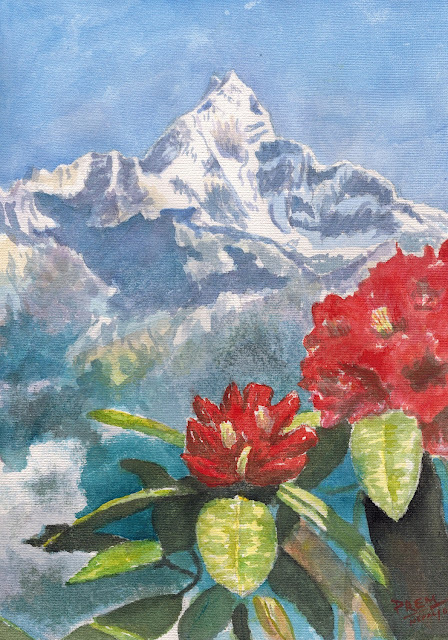 Again after a gap of quite a while, I have made a new painting of Mount Machhapuchhre (Fishtail) with Rhododendron in the foreground. I have been busy in university application process for my master's education and this Saturday, I thought I should make one painting and I did it. I feel happy with the outcome as I have applied a few techniques learnt in the art class (where my attendance rate was just about 50%) and the painting has come out pretty good. Rhododendron in the foreground and Fishtail in the background! 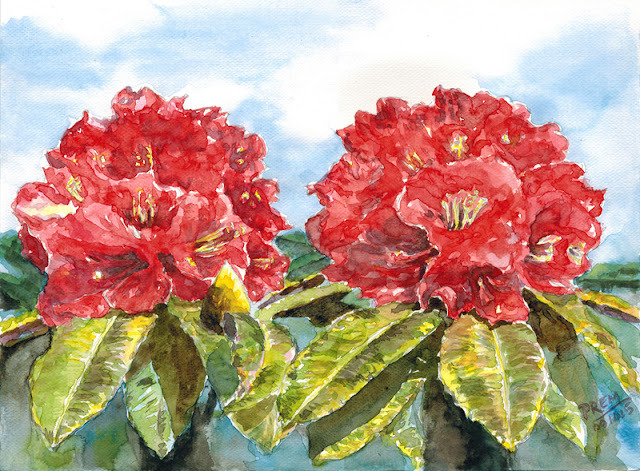 Here is another painting of Rhododendrons. I was a bit anxious and impatient while painting the foliage of the rhododendron. However, I am still happy with whatever I manage to achieve. These new paintings have revived my inspiration and the desire to paint. Hope to paint more and share more in the coming days.